Thanks, what does MOUG stand for? I’ll answer that, Matterport official user group. Could you post on MOUG that a WGAN Forum Member asks, "How many Matterport cameras worldwide?" and post the answer here please? As far as I know, the last time that Matterport officially said how many Matterport Cameras that it has sold was two years ago. ✓ Matterport Sold 5,000 Cameras>is that a lot? 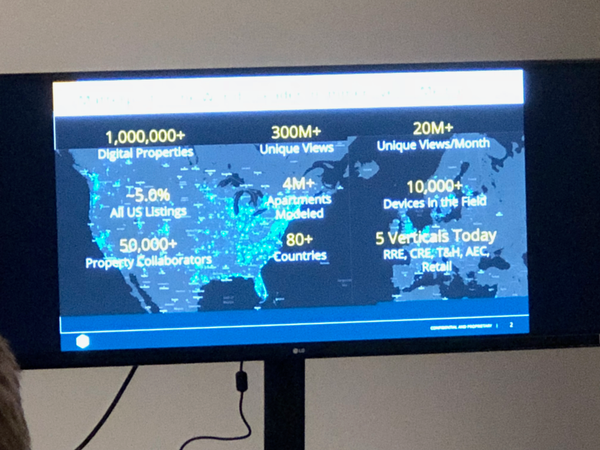 According to Crunchbase (as of 16 November 2018), Matterport has $48.9 million in revenue. At Inc.com they dropped from rank #26 (2017) to rank #378 (2018).